ITV has asked Ofcom to consider a proposal that would see more flexibility over advertising at peak viewing times, sparking fears that popular shows like X-Factor could have extended breaks to generate more cash. Although Ofcom insists in its stage two consultation that its '"initial preference is for no change to the overall amount of advertising on television," it conceded that it will "consider alternative views on the range of options carefully." ITV's suggested alternative is to allow television companies to allocate the amount of adverts they broadcast on a weekly basis rather than daily – meaning that peak viewing days with prime series – such as weekend evening reality shows like X-Factor and I'm a Celebrity could see up to 12 minutes of adverts in an hour period. 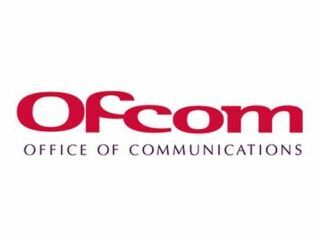 "We are inviting views on whether public service channels should be able to allocate the total weekly allowance flexibly, so that they could show more on one day than another," says the Ofcom statement. The proposal was made very late in the consultation process, meaning that Ofcom is actively seeking responses to the suggestion – one of six options being considered by the communications watchdog. "ITV has proposed that, rather than increasing peak-time minutage allowances overall, public service channels be allowed to aggregate the existing daily peak time allowances to create a weekly allowance of 280 minutes, which could be scheduled at their discretion, subject to a maximum limit of 12 minutes in any one hour," says Ofcom. The report spells this out in greater detail – stating: "…a PSB proposed that PSBs should be allowed greater flexibility to pool their daily peak time allowances over the week. "To take the example of evening peak, this would mean that rather than adhering to a daily cap of 40 minutes of advertising, PSBs would face a weekly cap of 280 (i.e. 7 x 40) minutes of advertising. "This would allow PSBs to exceed the current 40 minute cap on some days, providing this was appropriately offset by a reduction in advertising on other days in the week. "From an economic perspective, this would allow PSBs to increase the amount of advertising at times when the demand for commercial impacts is relatively elastic, and reduce advertising at times when demand is relatively less elastic." Of the six options currently being considered, a status quo choice is currently favoured by some of the public service broadcasters – who are wary of alienating their audience and insistent that more adverts would not bring extra revenue but merely bring prices down. Other options could well impact on non-PBS channels which are reliant on longer advertising breaks (currently significantly longer than PBS channels). But all eyes are likely to be on option 6 – ITV's flex-time advertising approach – as the independent broadcaster looks to raise its revenue without upsetting its audience.